As of this writing, marijuana use has been legalized in nine states. Another nine have decriminalized it, and allowed for legal medical use. In North Carolina, marijuana in small amounts (under half an ounce) has been decriminalized, which means you can be charged with a misdemeanor, but you cannot go to jail for possessing it. More and more states are following suit; at least 20 more states have pending legislation to legalize or decriminalize marijuana. We understand that there are medical properties associated with marijuana. 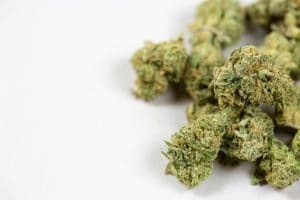 We also understand that, for states where the drug has been legalized, initial reports show an influx of revenue for business owners and the States. However, the latest report from the Governor’s Highway Safety Association (GHSA) proves what we feared: there has ben a marked increase in the number of drivers who have THC in their systems at the time of a crash. I was hit by a stoned driver. What do I do? First, you should seek medical attention if you need it. If you do not, then move your car to the side of the road (if it can be done safely), and exchange insurance information with the other driver. If possible, take photos of you, your car, the scene of the accident, and any passengers who were in your car. Make sure to call your local police, and to get a copy of the police report when it becomes available. You should also contact a lawyer, especially if you sustained any level of injuries, or significant property damage. Your attorney will work to obtain your medical records, the police report, and any evidence available from the crash, and may work with an accident reconstructionist to help build a clear picture of what happened to you, to present to a jury. As more and more states decriminalize and legalize recreational marijuana, we will likely see an increase in the number of accidents each year, especially if there is no plan in place to ensure traffic safety. At Warren & Kallianos, PLLC, we represent victims of drunk and drugged drivers throughout the state. Please contact our Charlotte office for a free consultation by calling 704-275-5593, or by filling out our contact form.